Brown Beech ( Pennantia cunninghamii, PITTOSPORACEAE ). It pupates in its silken shelter. 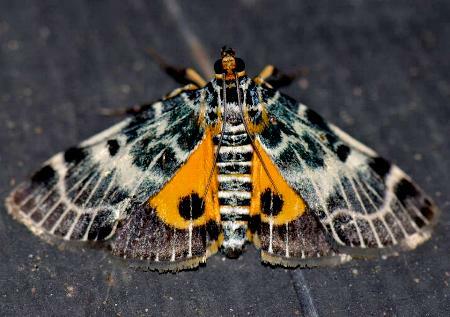 The adult moth has black and white fore wings, and orange hind wings with a black margin and a black spot in the middle. 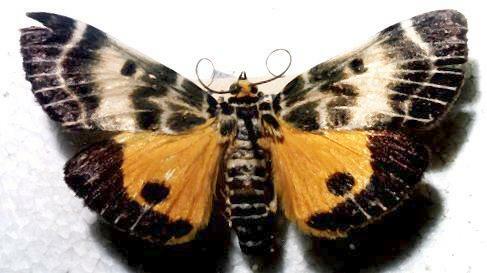 The moth has a wingspan of about 4 cms. The moth normally covers it hindwings with the cryptically marked forewings. 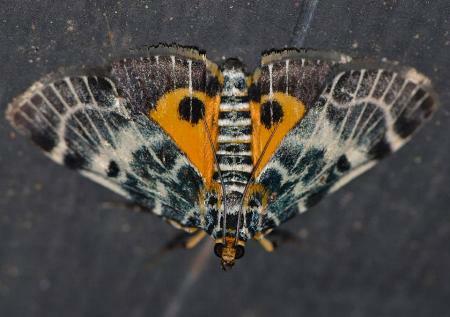 It flashes the forewings open to reveal the hindwings when feeling threatened. 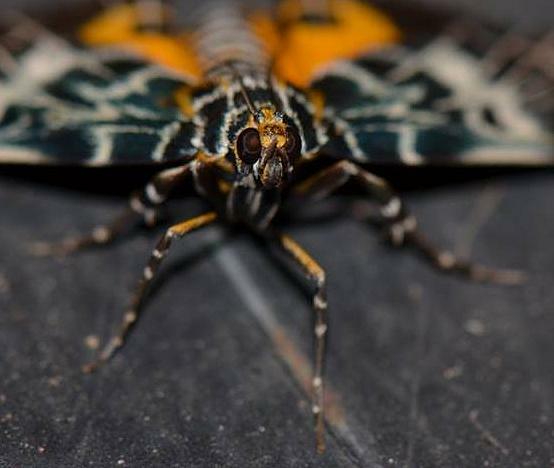 Viewed from some angles, the spots on the hindwings can look like the eyes of a monster, which may help repel predators. Moths of Australia, Melbourne University Press, 1990, pl. 8.29, p. 349. Part 17 (1859), pp. 282-283, No. 1. A Guide to Australian Moths, CSIRO Publishing, 2007, p. 135.